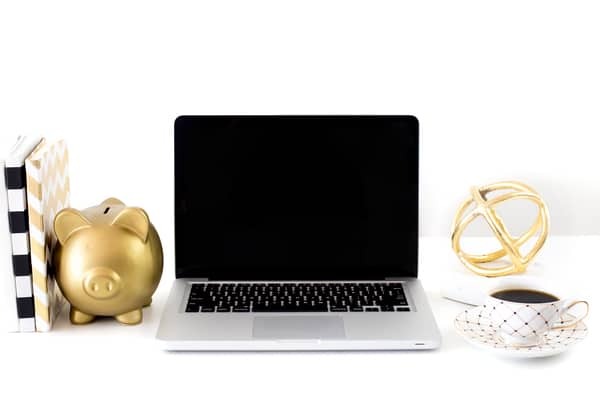 As a work-at-home mom, I'm always looking for ways to add a little more money to my bottom line. As tempting as it is to veer off track from my long-term goals and start additional projects, I find that it's more efficient to stick with my primary objectives and add in a few side gigs here and there as my time permits. 1. $5 Sign Up Bonus! If you're new to InboxDollars, you can earn $5.00 just for signing up for an account. You will need to verify your email address, but other than that there are no strings attached to this bonus. Upon signing up, you'll see a small box to the upper right that says, My List. There are six activities that you can do to earn a 50¢ bonus right off the bat, such as watch a video, play a game, read an email, watch an InboxDollars tutorial, verifying your email address, and more. There are many offers that you can complete after sign up, and quite frankly, you can do as few or as many as you'd like. While offers such as joining the Disney Movie Club will earn you a reward of $12, donating to Save The Children will get you $18, and joining ClubW Wine Club earns you a cool $20 bucks … not too shabby! Surveys are an easy way to earn money; they're relatively easy and quick to complete. There are usually a handful available, and some you can even complete several times a day. Sometimes you won't qualify for a survey, mostly because you're not the target market the company is looking for. If you don't qualify for a survey, you get free spins. We'll talk about those a little later. Survey #1 – Earn 25¢ – Estimated Time 15 Minutes (I'd pass on this one)! Survey #4 – Earn $1.00 – Estimated Time 24 Minutes (I'd pass on this one too)! Many people play games online anyway, so why not earn money while you play? You can with InboxDollars if you're willing to put some real money into a gaming account with GSN/WorldWinner Games. You will earn cash in your InboxDollars account for each dollar played in real money through GSN/WorldWinner Games. The initial $10 – $20 deposit you make to upgrade your account will be matched by GSN/WorldWinner. These funds can be used to compete against other players to win prizes and cash. They also have games like Monkey Bubble Shooter, Solitare, Pet Hop, World of Words, and Candy Jam. With these games, you play, and the longer you do so, the more Scratch & Win tickets (virtual scratch offs) you'll earn. I played one game for 60 seconds and earned one Scratch & Win ticket where I won 5¢. With the Scratch & Win tickets, you can earn up to $10, $25, or $100 per scratch off (if you're lucky)! Easy cash you can earn money by completing free offers and no credit card is required. These range from taking surveys and joining a fuel rewards program, to sign up to receive free samples. The pay ranges from 10¢ up to $6, with most offers being in the 50¢ – 75¢ range. Instead of using Google, Bing, or Yahoo (or the multitude of other search providers), using InboxDollars to search for what you're looking for can earn you some spare change. Earn up to 15¢ a day on qualified searches, and a 5¢ search loyalty reward for any week you search four or more days. You can earn money by watching videos from different companies, but the payout is minimal, like 1¢ per video. You can also earn money watching short TV clips. Just like the video games, the longer you watch the more Scratch & Win tickets you can earn. 3) Shopping at your favorite stores through InboxDollars. Note: You do your actual shopping on the website of your choice, like Wal-Mart or The Disney Store, then earn your rewards from 3 to 5 percent back. There are also several ways to refer your friends. The easiest way is to submit their emails, and if your friends join InboxDollars, you'll earn 10 percent of their qualified earnings. You can refer people from your favorite social networks quickly and easily, all you do is click a button and post. If you have your own website, you can add an InboxDollars banner ad by copying and pasting the HTML provided code. You can earn a free spin on the Spin and Win Wheel by either attempting a survey (and not qualifying) or by clicking Billy's Spin and Win Alert within the InboxDollars toolbar on the member survey page. On the Spin and Win page, you'll see a ‘Spin and Win' message with a bonus wheel. Press the ‘Spin and Win' button to see which prize you've won. Prizes range from 25¢ survey tokens, which credit your account upon completion of your next successful survey, to sweepstakes entries (which are extra chances to win a prize), and cash bonuses. InboxDollars definitely isn't a scam, but you're NOT going to get rich either. It's more of something to do while you're sitting around watching TV or waiting for an appointment. While I was reviewing InboxDollars, I spent 10-minutes completing tasks, and in that time I earned $6.18. Something to note about InboxDollars, is you need to earn $30 total before you can request a payout. Payouts are made via check or Visa cash card. It's also worth mentioning that InboxDollars is a Minnesota-based company with an A+ rating on the Better Business Bureau website. Since their inception in the year 2000, InboxDollars has paid out $57 million to members! Now, you may be asking yourself, how can they afford to pay people for doing these tasks? And that's a great question! Basically, InboxDollars is earning money from advertisements, referrals, and market research firms. 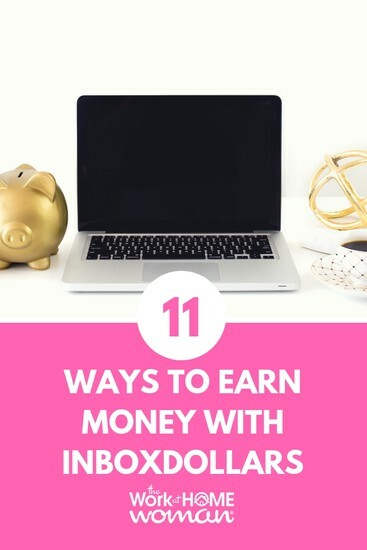 Well there you have it, 11 ways to earn money with InboxDollars! While you might not make big bucks with this site, it's definitely something you can do in your spare time to earn a little extra money. Have you used InboxDollars and if so, what do you think of it? I'd love to hear your experience, leave your comments below! Can You Really Make Money With Swagbucks? I will love to join how do I get on board am here in Nigeria. Do you know any other sites that pay cash? Thanks for sharing your experience, Kat. For some reason, surveys tend to get a bad rap. No, they’re not going to make you rich, and they can’t replace the income from your full-time job. BUT, they can pay for some of your holiday gifts, your coffee habit from Starbucks, or your book addiction at Amazon. In fact, I just scored a $20 Amazon Gift Card yesterday from a survey! To be successful with surveys — you just need to create a plan and execute it. For instance, if you answer 4 surveys a day, and each one pays $1.00, and you do this for 30-days — at the end of the month you’ll have $120! I signed up 3 days ago and no surveys available at all…I don’t know why. Each survey is geared towards a target audience and you may not meet the criteria for the surveys that are available at this time. You may want to consider joining multiple platforms so you have a constant flow of short tasks in your pipeline. Good luck! Hi Daniel, You can use InboxDollars like you would Google, as a search engine. if I search 4times I get $0.005 so!!! what if I do that repeatedly say about 50, 000 Times in 24hrs daily, Will the system allow it? That’s a good question! I’m not 100% certain, but I think there is a daily limit – not sure what it is. I know when I use Swagbucks, they have a once a day limit. If you figure out what it is — let us know.